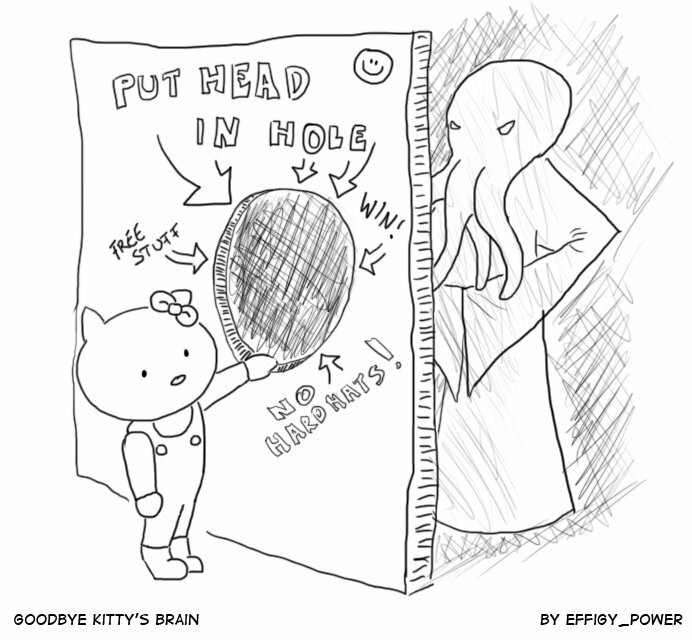 Goodbye Kitty - Fan Art by Effigy Power of "RPGeneric"
1st Feb 2010, 12:53 PM - Check back on Saturdays...? Fan Art by Effigy Power of "RPGeneric"
For those of you not in the know and wondering exactly what's going on here... I guess maybe you would want to read RPGeneric, a routinely hilarious comic about role playing games and the silly people who play them... or is it? Effigy has been a very active supporter of GBK, and probably one of the most vocal about the hiatus that I really couldn't avoid, so my heart filled with double squee when I saw this this morning. No Kitty don--- oh never mind. She will any way.